GRIFFITH, Ind. (WLS) -- Police in Griffith, Indiana, have charged two parents with child abuse after their 10-month-old baby was found to have 35 rib fractures and significant brain injuries. Police said Cashmere Jones, 24, and Rebekah Davis, 31, were arrested Thursday night and charged with felony child neglect Friday. 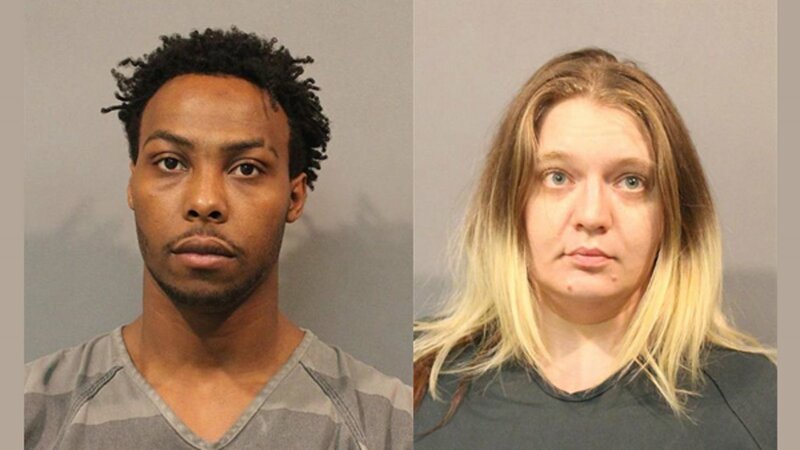 Police said they received a call from Child Protective Services Monday notifying them they'd been summoned to Munster Community Hospital after Jones and Davis took their 10-month-old son in after "an episode." The child was then taken to Comer's Children's Hospital in Chicago due to the extensive injuries doctors uncovered. The baby remains at Comer's in critical condition. Doctors said he has serious internal injuries including but not limited to 35 rib fractures in various stages of healing, blunt abdominal trauma, upper leg fractures and brain injuries indicative of shaken baby syndrome. Doctors said the boy appeared to be repeatedly abused, and there was no known medical care sought for potentially life-threatening injuries. Doctors said the baby's prognosis is "very grim." Police said Davis's four other children by different fathers were home at the time and were taken into custody by Child Protective Services. There were no indications of abuse or neglect in the other children, police said. Jones and Davis are currently being held at the Lake County Jail.